Emily BerthaStranded with no water or food, passengers resorted to drinking melted snow off the side of the road. Megabus riders travelling from Pittsburgh to New York City were stranded by a winter storm on Friday and Saturday. They had no water or food and resorted to drinking melted snow off the side of the road. Riders claim that Megabus didn’t attempt to update them on their status the entire time they were stuck. Nearly 80 people travelling aboard a Megabus from Pittsburgh, Pennsylvania to New York City have spent over 24 hours travelling, stranded on the side of the road and at an abandoned rest stop. Karen KedemThe bus was packed to capacity and very hot. The bus left Pittsburgh at 9 a.m. ET on Friday. 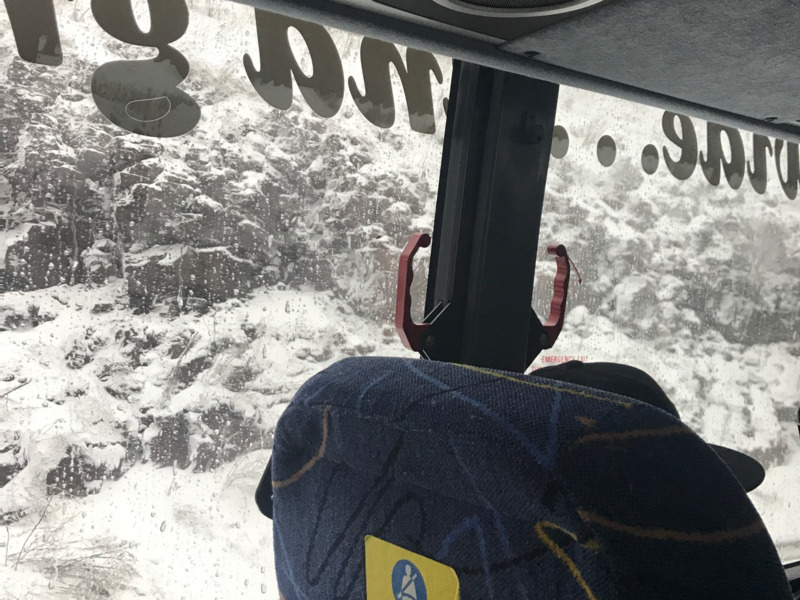 After running into an accident on I-80 because of a winter storm that hammered parts of the northeast with more than 2 feet of snow, riders were informed that the bus had to stop overnight. The bus, packed to capacity, got very hot, according to Kadem and Bertha. Megabus had no water available in the case of an emergency. Some riders became dehydrated and resorted to scooping snow off the side of the road into water bottles, which they shared among themselves. By Saturday morning at 7 a.m., the bus driver was able to start moving. But soon had to pull over again because he was over the maximum amount of hours he could legally drive. He pulled into an abandoned rest stop to wait for a relief driver to pick up passengers. They were still unable to buy food or water. Emily BerthaAfter more than 24 hours, passengers are now back on their way to New York City. 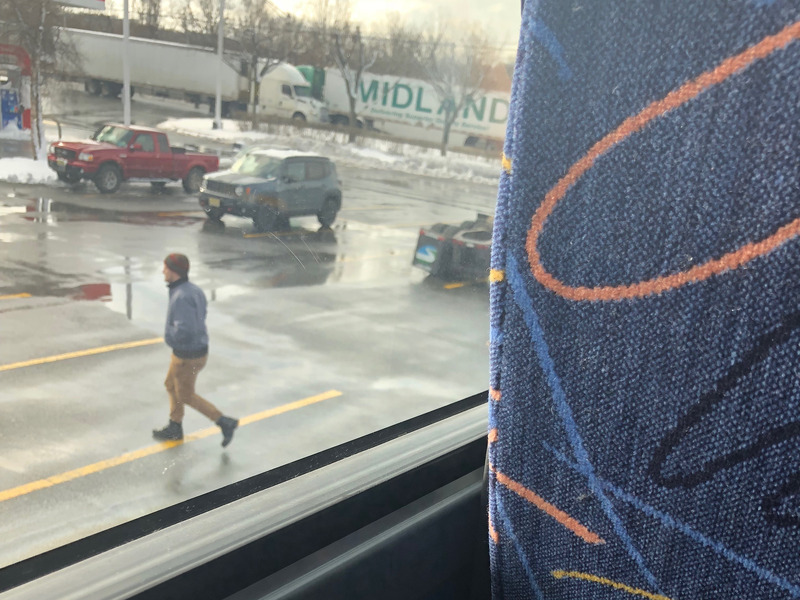 Throughout the ordeal, the passengers also said they received no information from Megabus about the status of the trip, despite attempts to contact the company. When the bus driver himself called corporate offices, he was placed on hold and then the line was disconnected, according to Kedem. Kedem’s mother waited on hold for 3 hours with Megabus before finally getting through. She was told that a driver would arrive at the rest stop soon. But that also ended up being untrue. The relief driver went to the wrong rest stop, stranding passengers even longer. Family members started to tweet angrily at the company for failing to provide information to passengers and for allowing them to go without water for such a long time. @megabus @megabushelp What is going on with the bus stranded in Columbia NJ? My daughter has been on that bus since noon yesterday. No food or water! Do something for these kids!! My girlfriend left Pittsburgh on a @megabus at 9:15AM & was supposed to arrive in NYC at 5:40PM. They’ve been on the bus now for 16 hours & now they’re being told they won’t move until 7AM when the roads open back up. Their lunch stop was at 2:30PM. They have no food or water. At 11 a.m., the relief driver finally arrived at the rest stop. Passengers still had another hour and a half aboard the bus before arriving in New York City. Some riders on board have indicated they won’t use Megabus in the future. 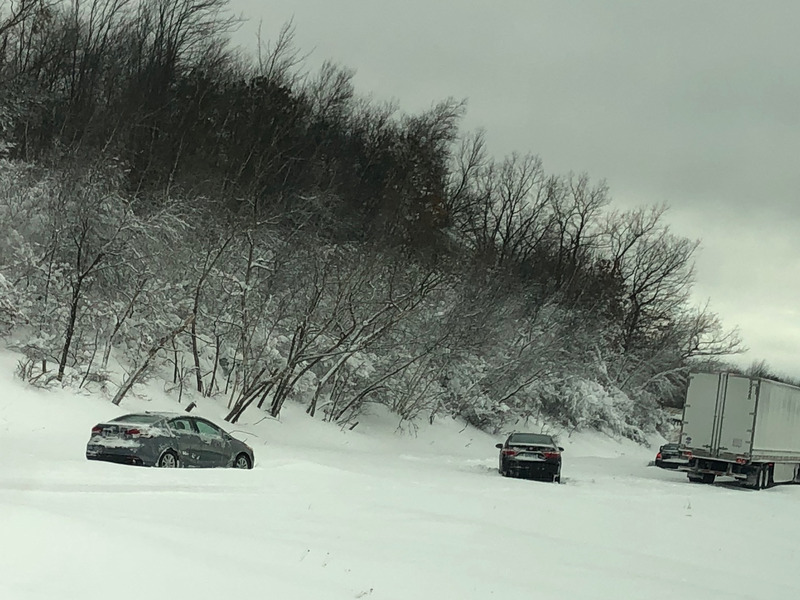 “I’m currently searching for a ride back to Pitt so I don’t have to go through this again,” Kedem said.